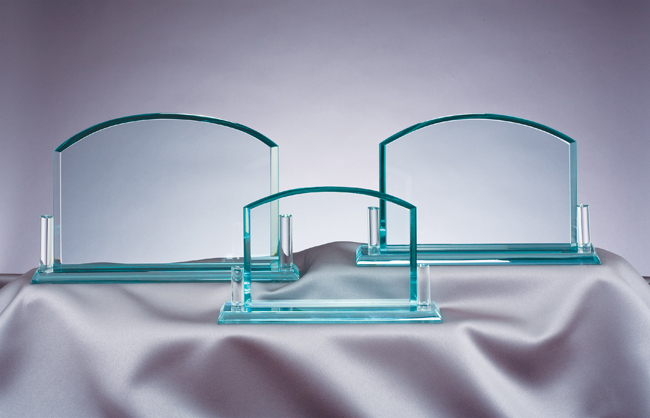 Flame series crystal award with prism-effect base. 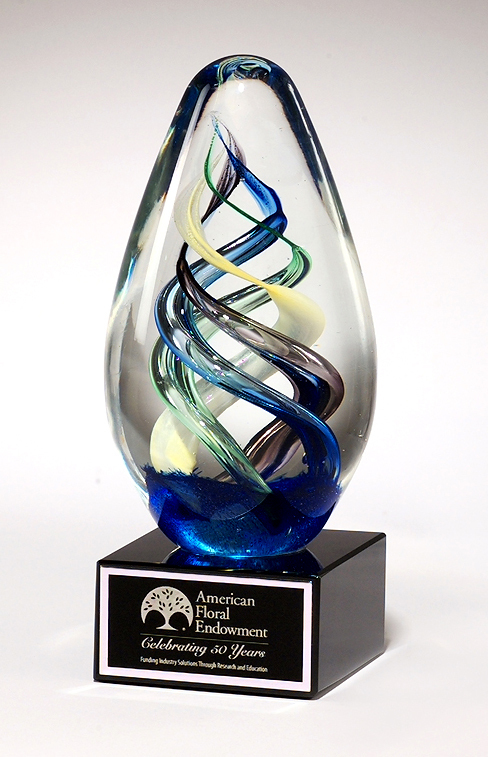 Size - 5" x 7 5/8"
Flame series clear glass award with blue center and frosted accents. 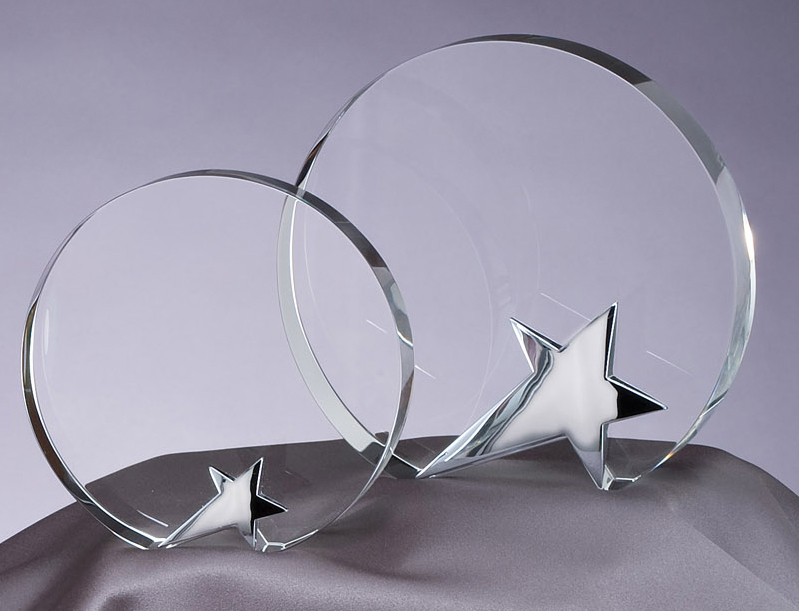 Size - 6" x 9 1/8"
Constellation series glass award, blue background with chrome plated star. 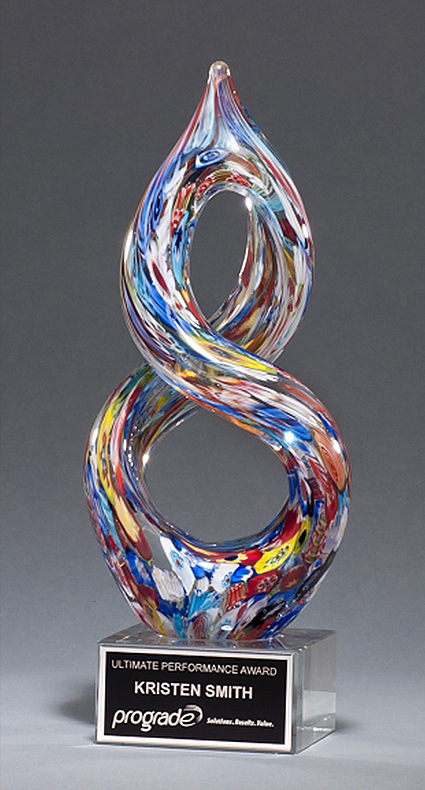 Helix-Shaped Multi-Color Art Glass Award. 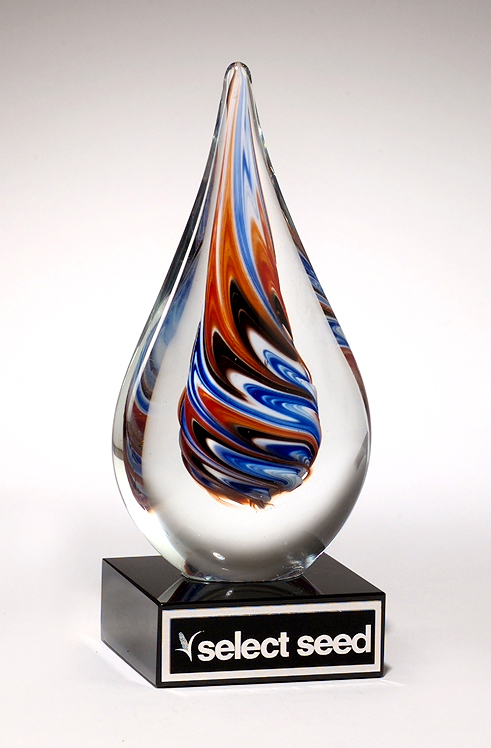 Teardrop shaped art glass award on black glass base. Glass vase with black base and plate. 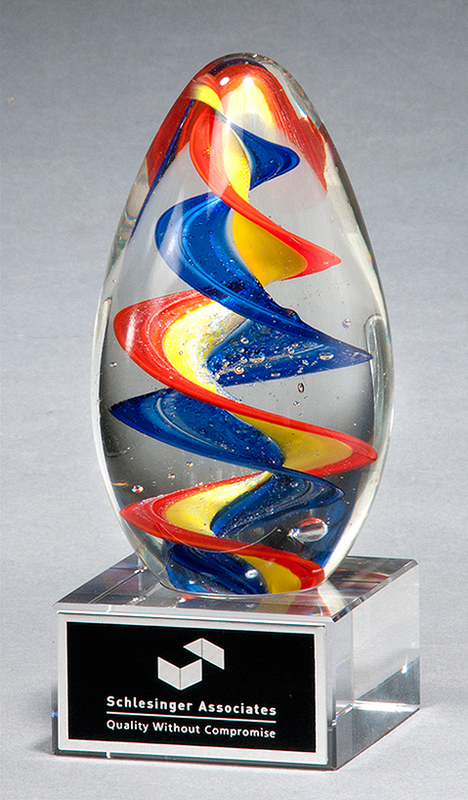 Colorful egg shaped art glass award with clear base. 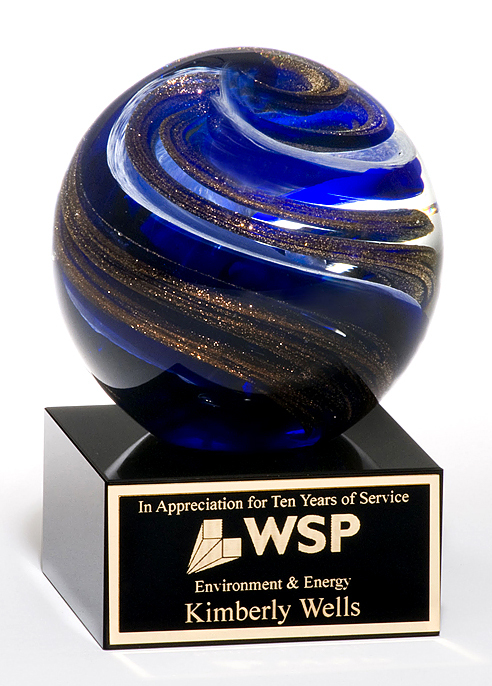 Egg shaped art glass award on black glass base. Arrow shaped crystal award with black accent on black crystal base. 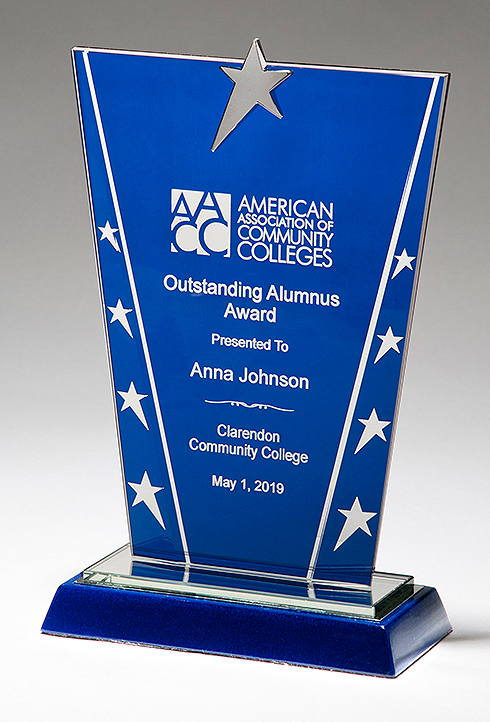 Size - 4-3/4" x 7-7/8"
Size - 5-1/4" x 9"
Clear glass with blue and black silk screened upright and black screened base. 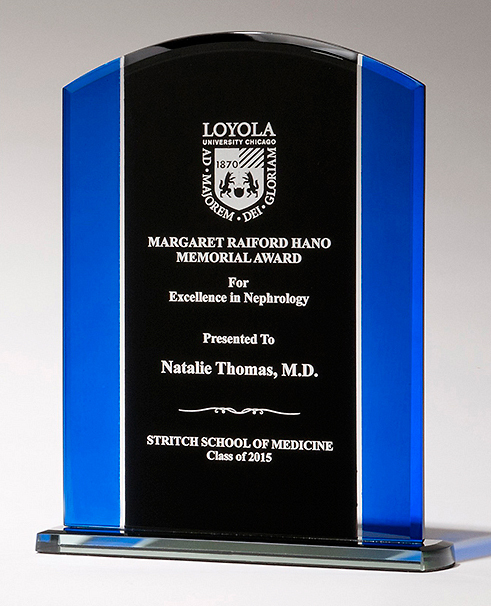 Size - 5-5/8" x 7-1/4"
Size - 6-1/2" x 8-3/8"
Free standing glass award with high gloss rosewood accent and silver star. Crystal award with silver metal star. Size - 6 1/4" dia." Art glass disk with blue and light green accents. Size - 5 3/4" x 7 1/4"
Art glass globe with blue and white and metallic gold highlights. 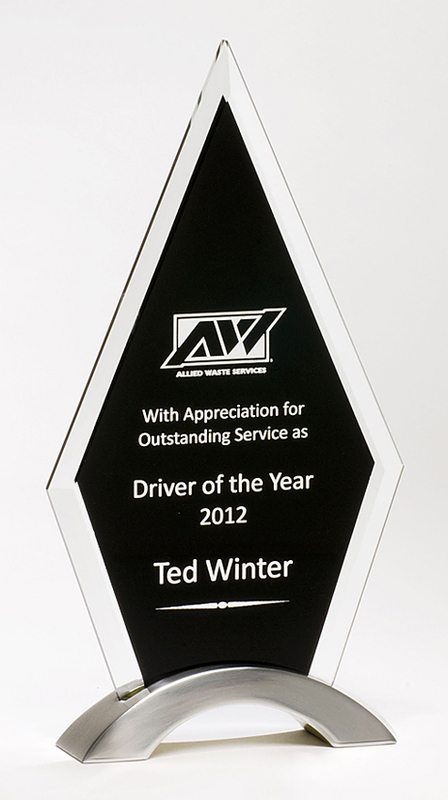 Premium Series black glass award with silver aluminum posts. 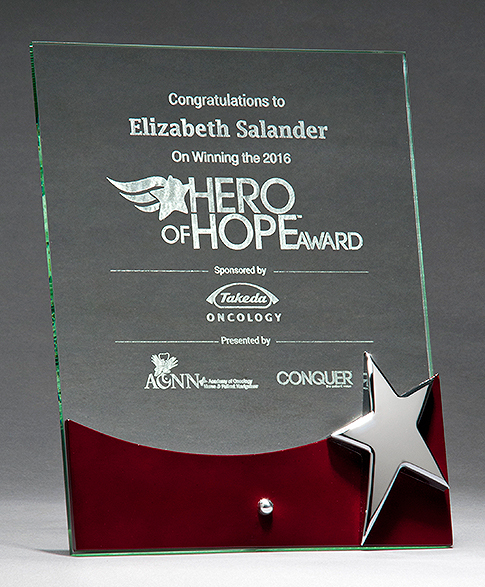 Size - 7-7/8" x 8-1/2"
Shield-Shaped Glass Award with Blue Center and Etched Laurel Wreath. Size - 6" x 9 1/2"
Beveled clear glass with black silkscreen, silver aluminum base. 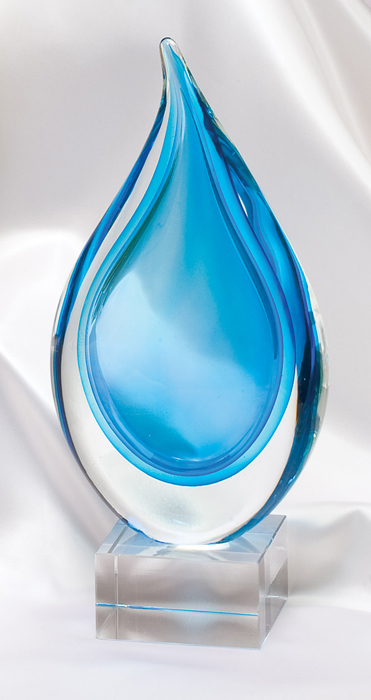 Size - 5 1/8" x 9 1/2"
Blue and black teardrop shaped art glass award. Art Glass with Silver plate adhered to base. 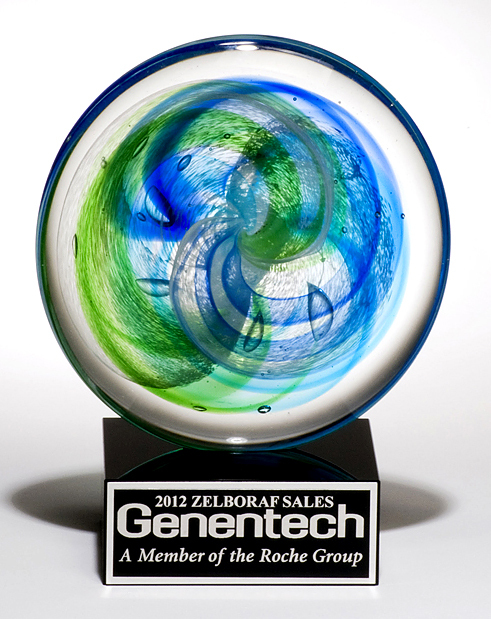 Size - 11" high, base measures 3 " x 1 3/4 "
Art glass award features handblown colors suspended in clear glass. 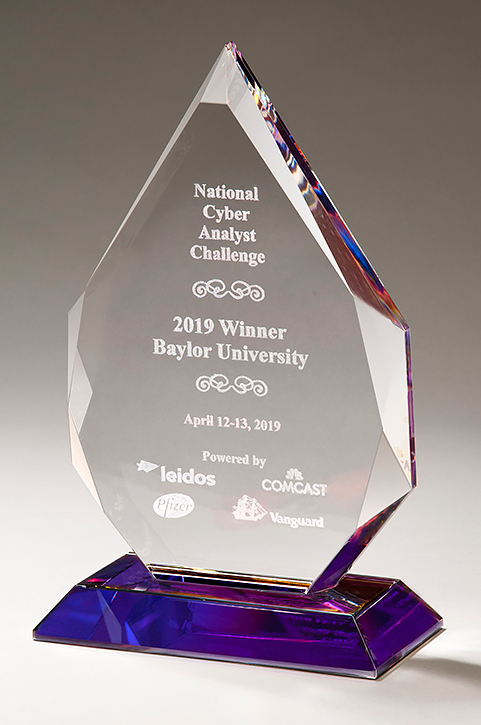 Jade glass award with gold metal base. 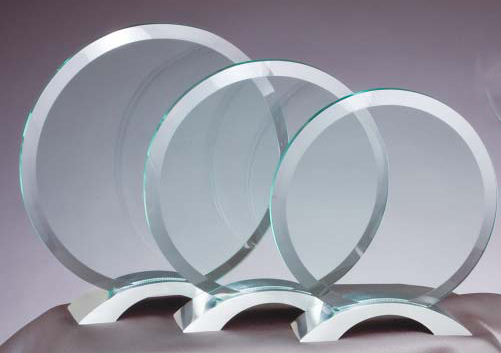 Size - 5 1/4" x 8 1/2"
Size - 5 1/2" x 9"
Circle glass award with silver metal base. 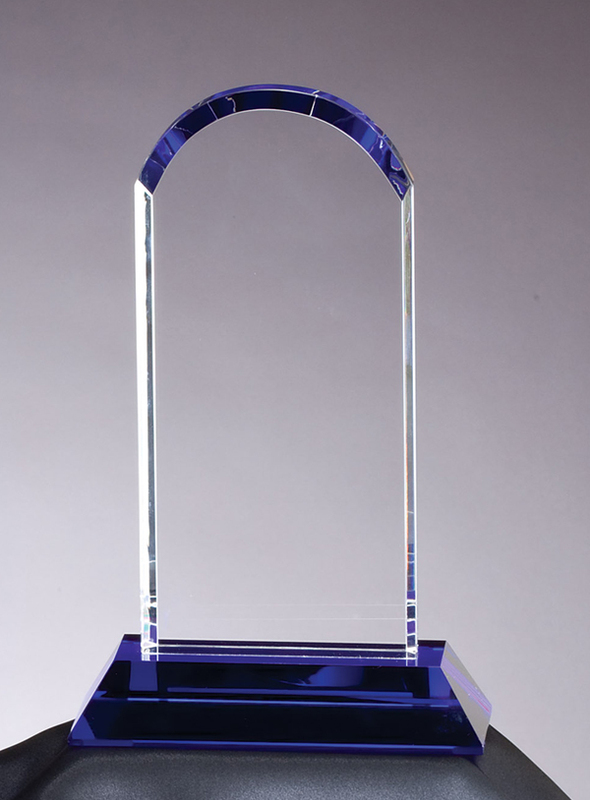 Size - 7 1/2" x 8"
Size - 6" x 6 1/2"
Cool blue optic crystal award. Size - 6" x 9 1/4"
Size - 6 1/2" high, base measures 2" x 10"
Size - 5" high, base measures 2" x 8 1/4"
Size - 5 3/4" high, base measures 2" x 9 1/2"